We really enjoy game based learning and educational games. 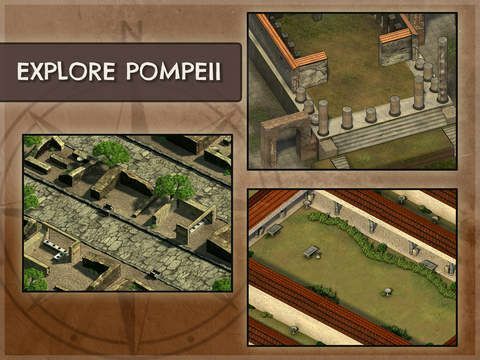 That's why I was so excited to find out I was going to be reviewing Roman Town (iOS App) by Dig-It! Games. 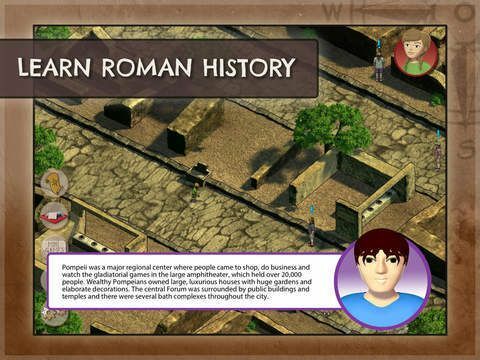 Roman Town (iOS App) is an educational app full of learning games that reinforce independent learning and critical thinking. Geared toward the middle school crowd, Dig-It! Games and Roman Town really are fun for everyone. I thoroughly enjoyed playing the games myself! For this review, we received the app and all of the in game purchases. Note: The app is free, but there are areas that can only be accessed by purchasing the full game. We used this as a fun, learning game, to reinforce what we have learned about Ancient Rome thus far. 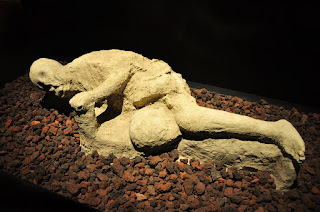 We had the unique experience of getting to see an exhibit of Pompeii artifacts, including the body casts, so it was very interesting to get to play this game while thinking of that exhibit, as well. 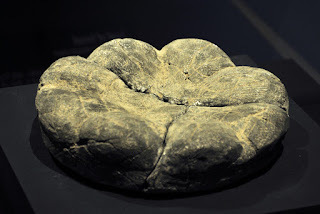 Loaf of bread: This is a loaf of bread found during excavation at Pompeii. I was blown away by this! Some of the body casts. My photos did not turn out as well (shaky hands,) so I found these on a google search. I wish I could communicate the emotion and feeling while walking into that room and seeing these body casts. I tried to put myself in their place. What it must have looked like, felt like, sounded like....I can't even begin to imagine it all. There was a video playing when we first arrived for our tour. It was almost movie like, and was basically putting each visitor into the daily life in Pompeii, then the eruption. Many did live, because there were several hours to evacuate. The problem was, not many believed they were in harms way. So they stayed too long, and were unable to leave. Roman Town (iOS App) brought back the memories of this exhibit thanks to the rich history that is taught through the app. Each character you speak to has a tidbit of information or a fact to share. The games you must play share insight as well, creating a web of game based learning. Often, Mr. B would play alone. And equally often, I would sneak the iPad away from him and play the game myself. The critical thinking games truly require critical thinking! This is not one of those apps that you can just easily breeze through. Ohhh no! I had to play one of the games about 8 times before I finally won! It was nice to actually feel challenged! 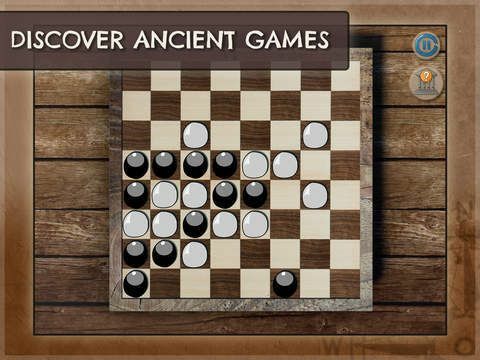 I really like the "ancient games." It was a way to introduce not only Ancient Roman culture, but also discuss ways children's play has changed over the years. Overall, Roman Town (iOS App) is a really fun way to learn and explore history, develop cultural understanding, and reinforce critical thinking skills. Does Dig-It! 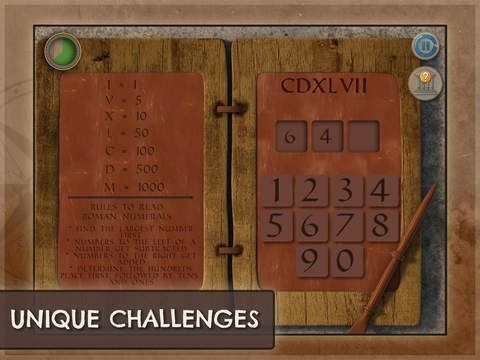 Games Roman Town (iOS App) pass my 4 ingredient test? This is an educational game app for iOS (iPad.) You can't really skip ahead or anything like that, but you do have freedom within the confines of the game. The app is geared toward a middle school learning base. It would be appropriate for multiple ages, and I really enjoyed it myself. There are fees. The game is free, but the there are in game purchases to be aware of. We did not find it boring at all. It is varied enough that it kept MY attention, and that's saying a lot. The variety of games is pretty good, and they are challenging enough that you really have to try on them. So it's no boring at all. This would fit perfectly with any study of Ancient history, Pompeii, Rome, etc. If you would like to read more reviews on Dig-It! Games, please click the banner below and check out more from the Schoolhouse Review Crew!